I understand that you try to be self-sustaining, hoping to work it out by yourself. You don’t want to share your challenges, hope and goals with someone else because you don’t trust them. They may belittle or disagree with you. I was in the same situation previously in building my career online. I believe that having someone to support you is crucial. Knowledge and information themselves can’t give you the solutions. Humans can’t operate like a machine which can process the information because humans are more intelligent and at the same time, they are emotional too. How can coaching discovery help you? Coaching discovery is for people who are new to coaching and want to experiment coaching. Most people keep their ideas and problems to themselves, it is an opportunity for you to share your challenges and hope to a coach. Because the nature of coaching is non-judgment and confidential, you will let go of your fear and telling whatever you need to tell without the fear of being judged. By speaking of your challenges and hopes, the coach will reflect to you back and often, you can see your challenges and hopes clearly and trigger ideas or solutions in your brain. Why do small business owners need coaching discovery? – If you are busy with day-to-day operation in your business and just to focus on profit, and you have little time to think about how you want to develop your business. It’s time to develop your vision. – If you are lost and want to get in touch with your passion and purpose, and to get motivation for moving forward. – If you are out of balance because of overwhelming and overworked and you want to get your work life balance. Coaching discovery can help you to identify what’s the problem you want to address and what direction you want to move forward. The benefits of coaching discovery are most people will walk out from coaching discovery with clarity, a shift from feeling helpless to confident or lighter, and they have a takeaway at the end of the session. 🙂 Please note that you don’t hope that everything can’t be solved with just one session. As we are going to end year 2018 and start 2019, coaching discovery can be a great start for you to talk about your vision for business success in 2019. People are moving to be interdependence in this information economy and of course, you need support for your business rather than trying to work it out by yourself. More and more small business owners are aware of the benefits of small business coaching and coaching discovery is just a taste prior to the real coaching. You have nothing to lose to try coaching discovery and most of coaching discovery is offered FREE. 😉 Apply for Free Coaching Discovery. 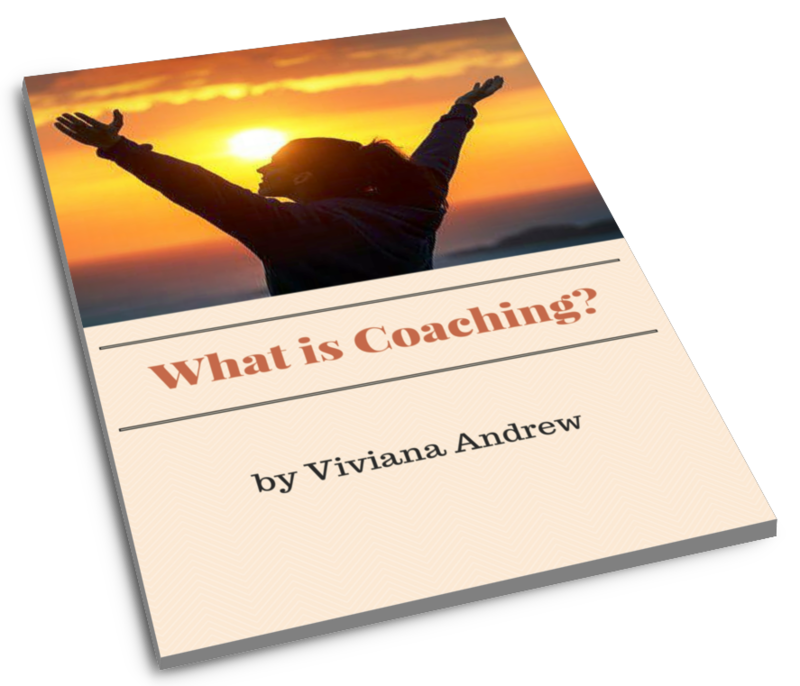 Sign up the form below to receive the PDF, What is Coaching?" Hello, I'm Viviana, working with small business owners to provide solutions in building their business online. I believe that you have amazing potentials to discover. Start believing yourself to create the perfect lifestyle in life and business you want to have.